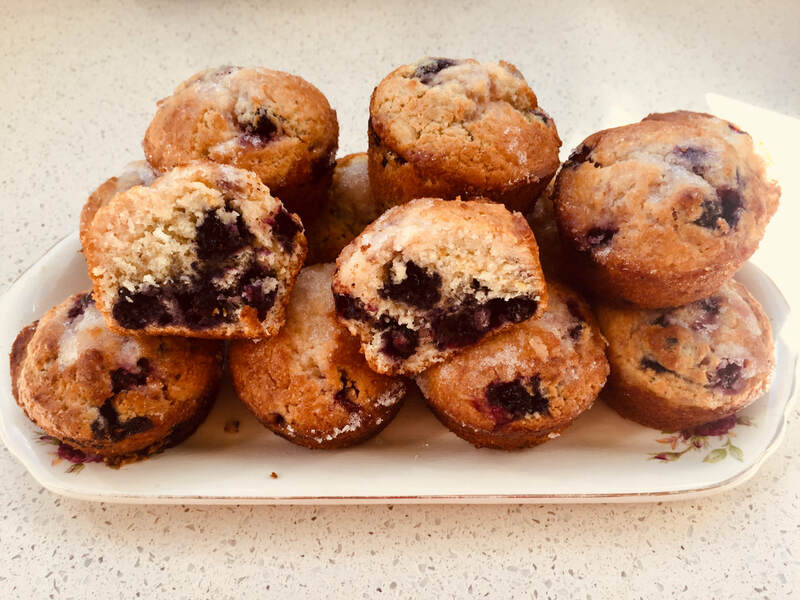 Everybody loves blueberry muffins. Not only are they delicious but you get the benefit of a superfood. Ours comes with a crunchy cinnamon and brown sugar topping. Serve warm for breakfast or any other time. Low in sugar. Main ingredients: Flour, cinnamon, caster sugar, butter, egg, milk and blueberries. This winning combination is really hard to beat and is a fantastic healthy choice. I always pop these in the freezer and they are fabulous re-heated for lunch. You can pack a frozen muffin in a lunch box, it will be thawed by the time you want to eat it. 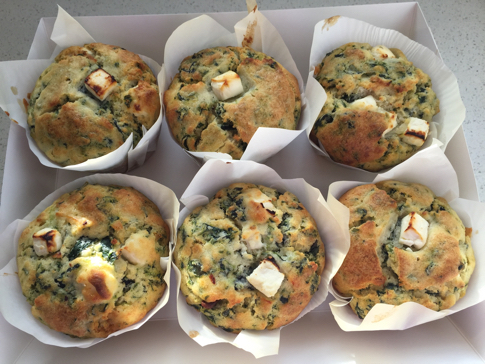 Main ingredients: Oil, egg, milk, spinach, flour, feta. This is one of my children’s favourites and I never feel guilty making them for the lunch boxes. They are moist and chocolatey. They have yoghurt in them, which makes them more sustaining. 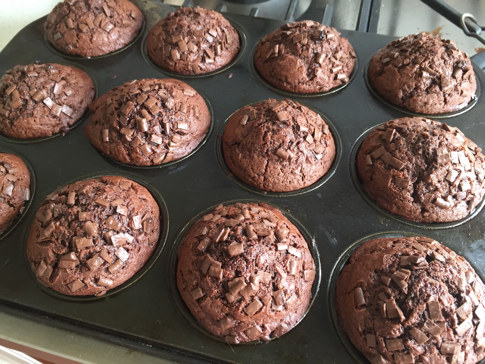 Main ingredients: Flour, sugar, cocoa, butter, egg, yoghurt, milk and chocolate chips. These are so tasty, with extra cheese on top that gives them a crunch. They are great split and filled with ham, tomato or anything else you fancy. Everyone loves them. A vegetarian option would be to have a plain cheese muffin. ​Another favourite with the kids (and the husband!). A treat in the lunch boxes or for an after school snack, without being too indulgent. 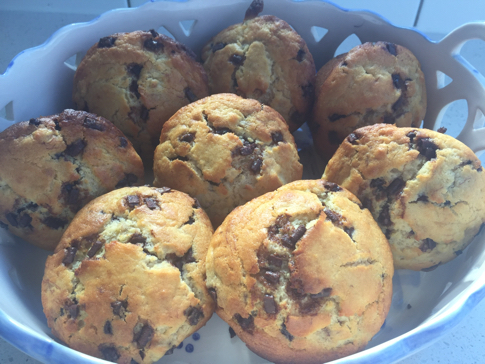 Main ingredients: Flour, sugar, chocolate chips, butter, milk, egg, banana. 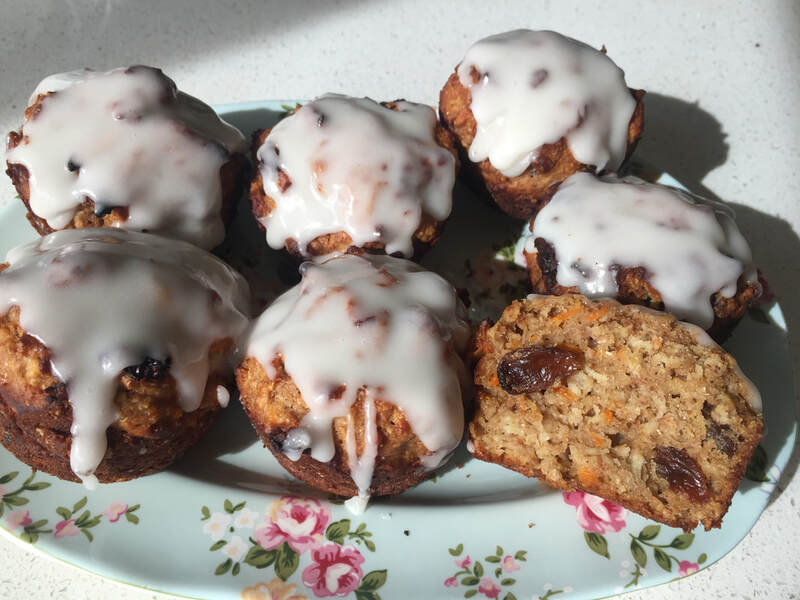 ​I really like these healthy muffins, low in sugar and they contain no butter but are still packed with flavour. ​Main ingredients: Flour, spices, sugar, egg, milk, oil, apple. ​These are truly a delicious and delectable treat! Lovely for a special morning tea or as a treat for your family at any time. Main ingredients: Flour, butter, sugar, raspberries, white chocolate, milk and egg. ​There is something quite special the about the combination of tangy lemon and crunchy sugar. These have proven be be very popular among lemon lovers. Main ingredients: Flour, butter, sugar, milk, lemon juice, lemon rind and egg. 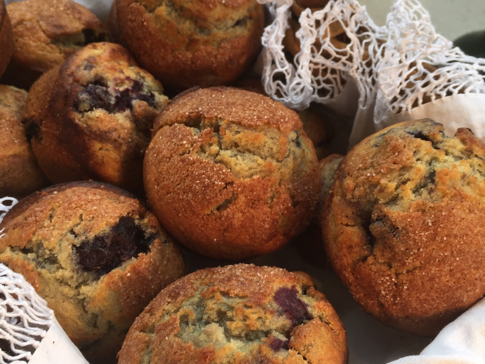 ​There is something memorable about these muffins. 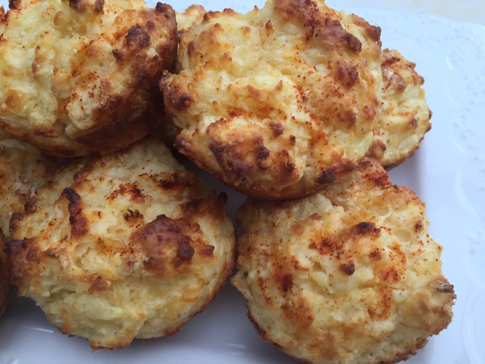 They have a mild but distinctive flavour and texture, and are a very popular addition to the lunch box, especially filled with cheese and pickle. Main Ingredients: Oil, Bacon, onion, flour, cheese, curry powder, salt, milk, egg and kumara. ​These are not the prettiest muffins but are really tasty. Even though they have a substantial amount of bran in them, they are still moist, light and sweet. 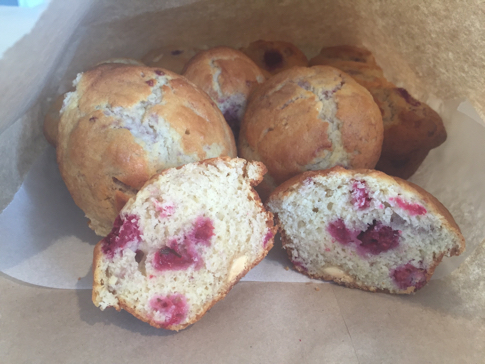 The sweetness comes from the fruits in the muffin. A great healthy choice. ​Main ingredients: Flour, cinnamon, bran flakes, sultana's, golden syrup, banana, eggs, yoghurt, and blueberries. 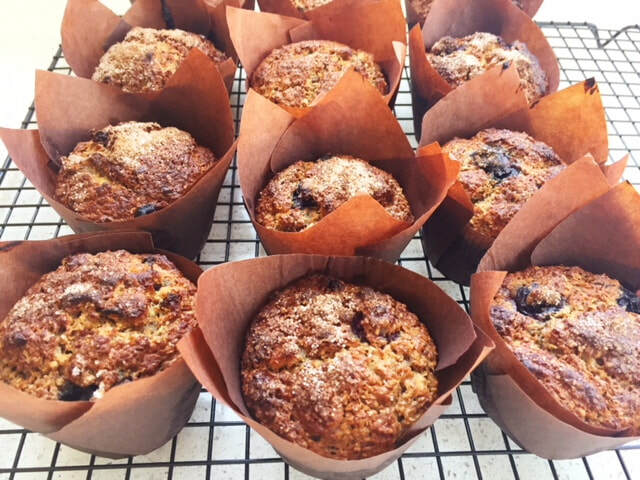 A fabulous muffin with tangy lemon flavour and a generous amount of blueberries inside. They are light and fluffy, with a sugar lemon drizzle poured over the top of the hot muffin. This gives the muffin a tangy sugar crunch. 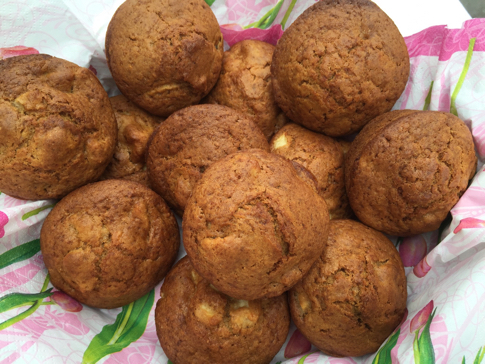 ​These muffins are very similar to the density and texture of a carrot cake, but without the nuts. They are made with whole wheat flour and rolled oats, so this will make them very nutritious and sustaining. They have a good quantity of carrot and apple in them along with sultanas. There is the option of having a honey glaze on top. ​Main ingredients: Whole wheat flour, rolled oats, cinnamon, sultana's, Carrot, apple, natural yoghurt, eggs, honey, salt, ginger, baking powder, baking soda, grape seed oil, and vanilla. Glaze: icing sugar, honey and milk.